We all experience anxiety or nervousness from time to time. When we deliver a presentation or speech, before taking an exam, or having a difficult discussion with our boss, we may feel anxious or nervous. Once the challenging situation is over we relax and return to our normal state. However, some people suffer from more regular bouts of anxiety such as panic attacks, which can lead to panic disorder or social anxiety disorder. They may feel a persistent fear in ordinary social situations or have specific phobias: the most common being spiders, heights, or flying. A more serious and chronic form of Anxiety is Generalised Anxiety disorder (GAD). This is when worries, doubts, and fears dominate your life constantly, causing you more stress, difficulty in sleeping, and may be accompanied by such physical symptoms such as shallow breathing, palpitations, and digestive upsets. There are self-help, practical strategies you can use to help overcome some of these symptoms: breathing exercises and relaxation techniques, visualisation techniques, Cognitive Behavioural Therapy, and Emotional Freedom Technique. William identified as a depressed and anxious gentleman who, amongst other symptoms, found traveling on the MTR intolerable due to the crowds and noise. He also shared that even watching the news on TV would make him anxious and depressed. This illness hit him again last year in a great extent due to some big life changes and events. William sought help again from his psychiatric doctor, but this time the medicine did not help, which is when one of his friends suggested he come see me at IMI. Homeopathic medicine not only helps physical symptoms but also soothes and rebalances emotional problems. When someone’s worries are out of control, a small dose of the appropriate Homeopathic remedy, taken regularly, can help calm those worries and restore confidence – breaking the cycle of fear followed by panic. ACONITUM NAPELLUS (Acon. ), ARSENICUM ALBUM (Ars. Alb.) and PHOSPHORUS (Phos. )are the more commonly used remedies. “On the first visit, Mina did a very thorough investigation on the history of my problem and understanding of my daily practices, then she prescribed a homeopathic remedy to me,” recalls William. Homeopathy works only when the correct remedy is found for that particular individual patient, and the correct dose given. 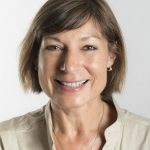 This is why a Homeopath needs to give a very thorough first consultation that involves discussing the patient’s whole medical background as well as asking about their daily lifestyle: including diet, exercise, temperature, etc. It also includes questions about their personality. The time spent reviewing the patient’s health is the start of the healing process, helping them understand why they feel the way you do. During the next few weeks William emailed me with updates about his condition and I would give him further advice on what to do with the remedy. “My condition gradually improved thereafter – without any side effects. After several visits to Mina my depression problem was remedied. I would say [Homeopathy] is indeed a very good alternative to conventional treatment with drugs and Mina Weight is an expert in dealing with depression,” says a much happier William. Jenny is a 21 years old Psychology student and came to me to seek help for her panic attacks. She experienced these panic attacks whenever she tried to join a group of friends in a crowded bar. Her symptoms: shallow breathing, clammy hands, racing pulse, and a pounding heart; recently she had even fainted. Each time Jenny tried to join a crowd of friends to socialise this would happen with increasing severity. She even became anxious about leaving her flat, to summarise, the panic attacks was stopping Jenny from leading a normal social life. I prescribed a remedy called PULSATILLA NIGRICANS (Puls. ), for her. It was for her whole self, which took into account not only her mental and emotional state but also her physical symptoms such as dysmenorrhea, as well as her lifestyle habits, such as a dislike for certain foods, whether she was more sensitive to hot or cold temperatures and so on. I also gave Jenny Aconite to carry around with her should she end up in a “trigger” situation for her panic. She was advised to take 1 pill as soon as she felt the anxiety starting. At the next follow up she said that the acute remedy Aconite was definitely reducing her anxiety levels in panic inducing situations. Overall, she was worrying less and some of the physical symptoms she had complained about were better. Six months later she felt more confident, she was able to attend parties, and join crowded venues without having any physical symptoms – though she still did not like such situations. However, she was able to go out and socialise once more. 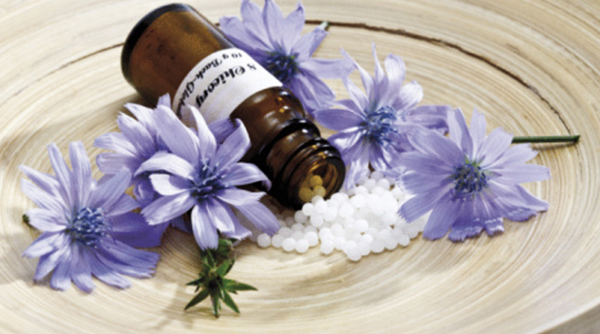 Though deep acting, Homeopathic remedies are gentle, safe, non-addictive and without side effects. As you can see in the cases of William and Jenny, Homeopathy can be very effective for emotional health. There are also remedies for exam nerves, anticipatory anxiety, mental exhaustion and many more. Also useful to note, homeopathic medicines can be taken at the same time as standard medication because they act on a deeper level and will not interfere with the effects of whatever medicine you may be taking. 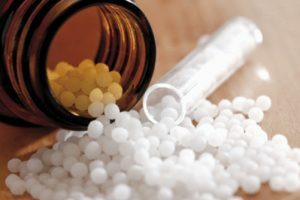 In some cases, if you are improving steadily with homeopathic treatment and only with the consent of your medical doctor, you may be able to start reducing the dose of your standard medication. If you would like to book a consultation with Mina, call 2523 7121 or fill in this enquiry e-form. For more information about how natural medicine and psychology can support anxiety, click here to visit our anxiety page.